Ecommerce meets CMS for a unique offering. 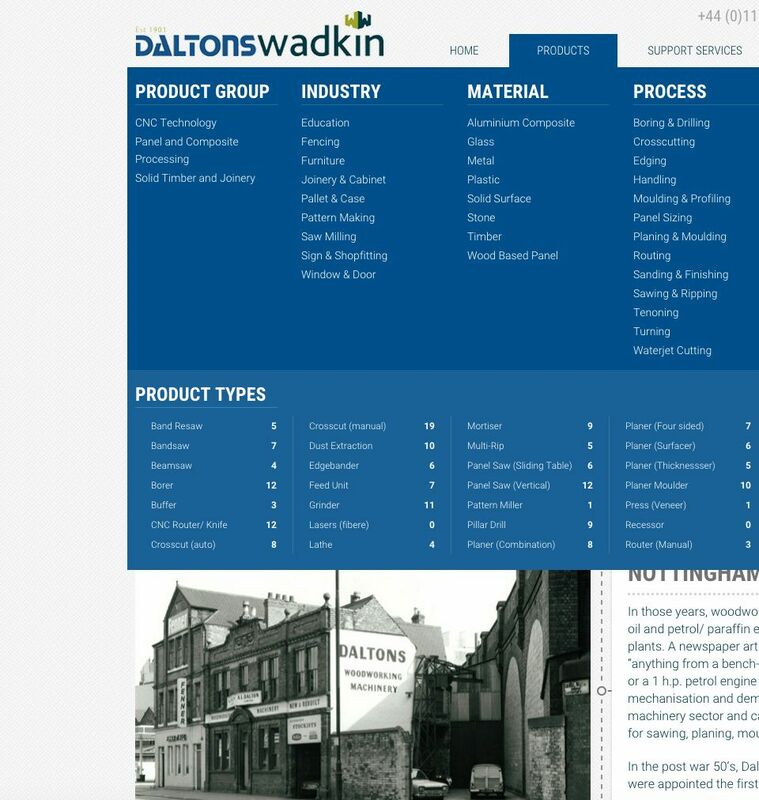 Daltons Wadkin wanted a clean, professionally designed brochure website that immediately communicated to visitors the distinctive industry sectors the company focused on. We built the website as a bespoke design creating a sophisticated filtering system that reflected specific customer needs. We adapted WooCommerce, which is an ecommerce platform, as the basis for a powerful search and product filtering function, allowing users to get down to the specifics and quickly identify the best machine for the job. We built the website as a bespoke design creating a sophisticated filtering system that reflected specific customer needs.